Guaranteed MOA accuracy in a budget-priced package. 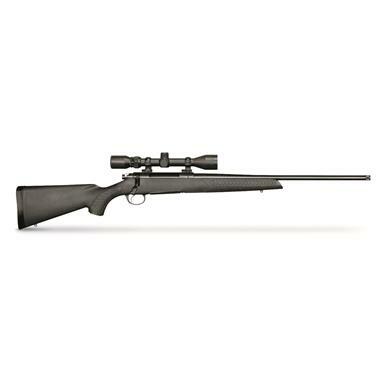 Designed to provide today's sport shooters and hunters a feature-rich bolt-action rifle at an affordable price point, the T/C® Compass® elegantly blends American-made craftsmanship and value in a professional-grade rifle. It features aluminum pillar bedding, with a bedding system that positively locates the receiver and free-floats the barrel for outstanding accuracy. The match-grade 22" barrel is button-rifled with 5R rifling for enhanced bullet stability, and comes with a 5/8x24 threaded muzzle for accessories. Backed by an MOA Accuracy Guarantee, it's a real performer. 5R rifling's unique design causes less bullet deformation. When the bullet jacket is less deformed, there will be less jacket fouling in the grooves. This results in enhanced accuracy from shot to shot, greater bullet stability over multiple shots, and ultimately, a rifle that's easier to clean thoroughly. T/C Rifles with 5R rifling deliver Minute of Angle accuracy... guaranteed.